Often touted as an inspiration to architects worldwide for his innovative designs, unique style and devotion to his craft, Japanese architect, Tadao Ando, has won plaudits within Japan and the international design community through his ability to create landmark international architectural projects while balancing this with a continual desire to produce smaller, more affordable local buildings and structures. With no formal architectural schooling Tadao Ando developed his design sense and style through studying and visiting significant architectural structures in Japan, United States, Europe and Asia.After flirting with careers as a professional boxer and training as a carpenter, Ando established his own architectural firm Tadao Ando Architects & Associates in Osaka in 1969. Tadao Ando first experienced architectural acclaim in 1975 when he was awarded Japanese Association of Architecture Award, for the Sumiyoshi Row House in Sumiyoshi, Japan. The small house was characteristic of Ando’s later architectural works and incorporated the use of smooth concrete and glass to create a deceptively simplistic and uncluttered design. Ando’s approach has often been characterised as seeking to combine a building with its surrounding environment using natural light, wood and concrete as staple materials. Professor Tom Heneghan, architectural head of the University of Sydney, lived and worked in Japan for 13 years studying Japanese architecture and many of Tadao Ando’s buildings. Professor Heneghan describes Ando’s ambition as for an individual to not to feel the building at all, but to feel the natural context and spirituality within. “It is as a by-product that they are beautiful” Professor Heneghan said. Ando’s designs generally incorporate minimal ornamentation on the interior walls of his buildings. By controlling the natural light that penetrates the building interior through the use of glass and transparent openings and specifically including solid structures to create shadows, Ando is able to paint his walls with splashes of colour and light reflective of, rather than in contrast to, the natural world. This sense of design; the use of light and space to create a spiritual feeling and connection with nature has also become Ando’s architectural signature. Ando’s architectural works range from the monumental to the small and spiritual. Based internationally or in his home country of Japan, his creations have a distinct feel and impact. Tadao Ando said during his 1995 Pritzker Prize acceptance speech, “making architecture is the same as thinking. For more than thirty years, I have been making architecture by going back and forth between ideals and reality, between the fictive and the substantive”. One of Tadao Ando’s most famous projects is the Church of the Light (1989) located in Ibaraki, Osaka, Japan. According to Professor Heneghan, who studied the design of the building before travelling to Japan to see the project in person, there is nothing particularly clever about the structure’s plan which takes on a simplistic and straight forward appearance. The design of the Church incorporates a rectangular concrete box, interconnected at a fifteen degree angle by a freestanding wall which marks the entrance. Inside the church the power of the building’s design becomes apparent as, behind the altar, a glass cross-shaped opening in the wall floods the interior with natural light. The small, distinctive box design of the Church also offers a stark contrast to the visually unappealing surroundings of the project’s location and according to Professor Heneghan “lifts your spirit” through Ando’s innovative use of light and nature. Although his regular use of concrete as a base material within buildings often draws comparisons with Swiss architect Le Corbusier (1887 – 1965) and the pre-eminent American designer Louis Kahn (1901 – 1974), Ando builds upon the work of those who came before him by incorporating a masterful use of light, space and the structures’ natural surroundings. Opposed to overt consumerism and today’s architecture-for-the-masses, Tadao Ando combats that which appears to limit good design by employing two different fee structures dependant upon the project and those commissioning the work.He ‘will charge a lower price for someone he feels will really value the building’, and a higher price to those who simply want ‘an Ando,’ according to Professor Heneghan. In 1995 a devastating earthquake hit Kobe, a neighbourhood in which many of Tadao Ando’s early architectural works stood. Demonstrating remarkable humility, Tadao Ando dedicated the $100,000 prize money from the internationally acclaimed Pritzker Prize to the city’s children that were orphaned as a result of the disaster. 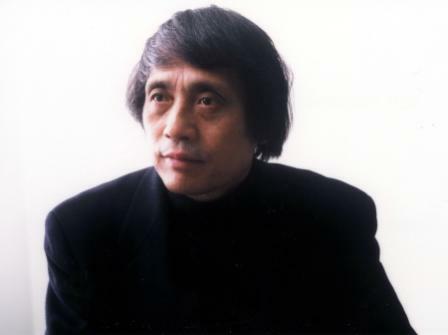 Tadao Ando has been internationally recognised through winning the Carlsberg Prize (1992), Pritzker Prize (1995), Praemium Imperiale (1996), Gold Medal of Royal Institute of British Architects (1997) and the International Union of Architects (UIA) Gold Medal in 2005.